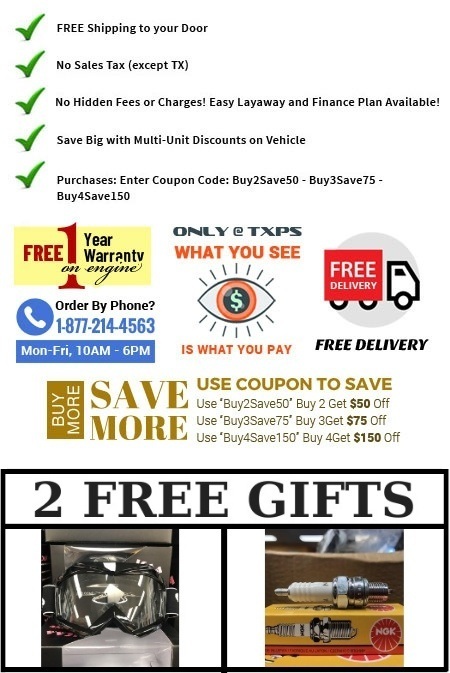 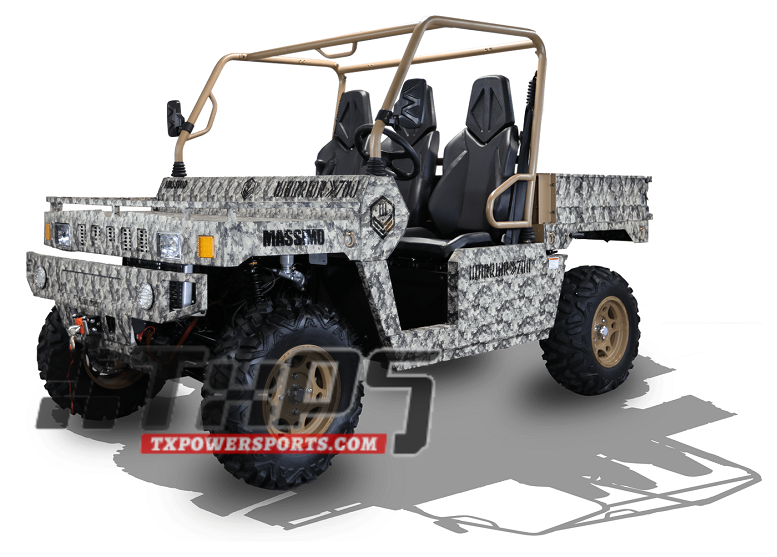 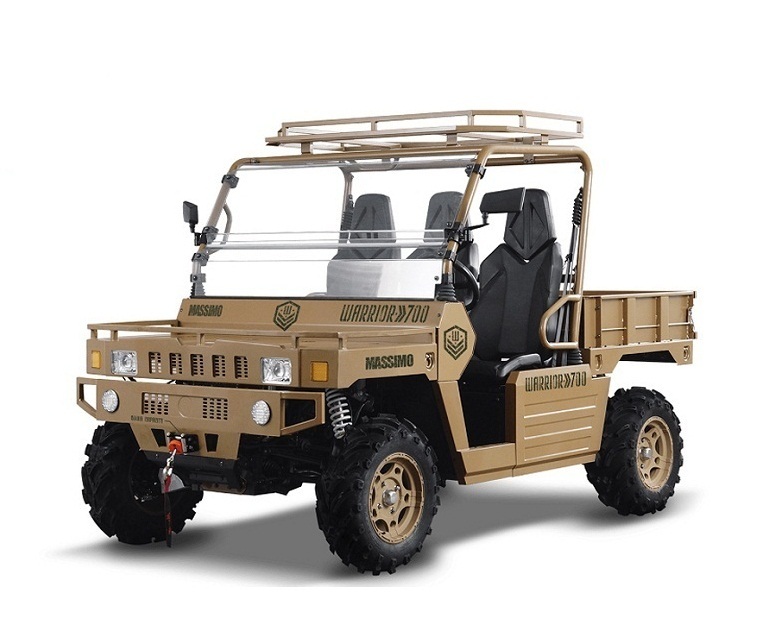 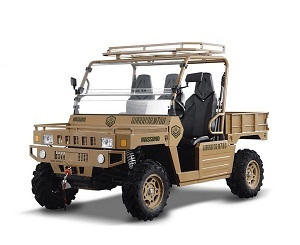 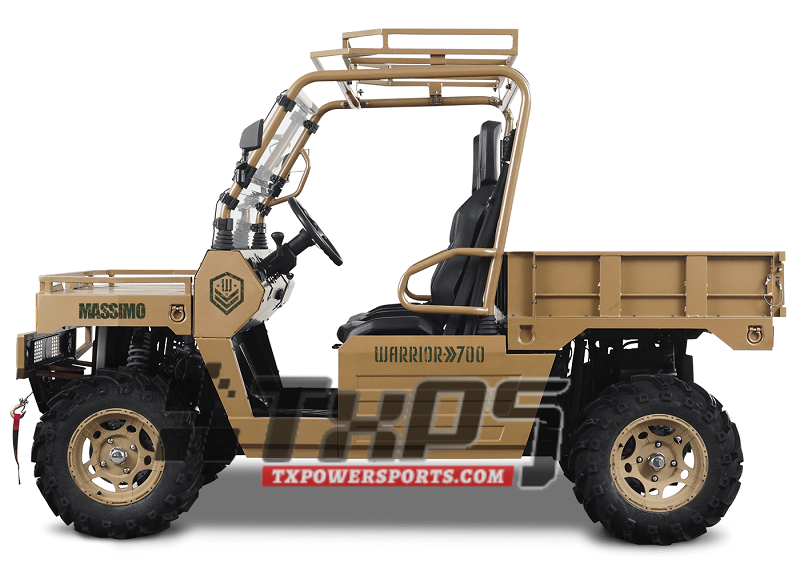 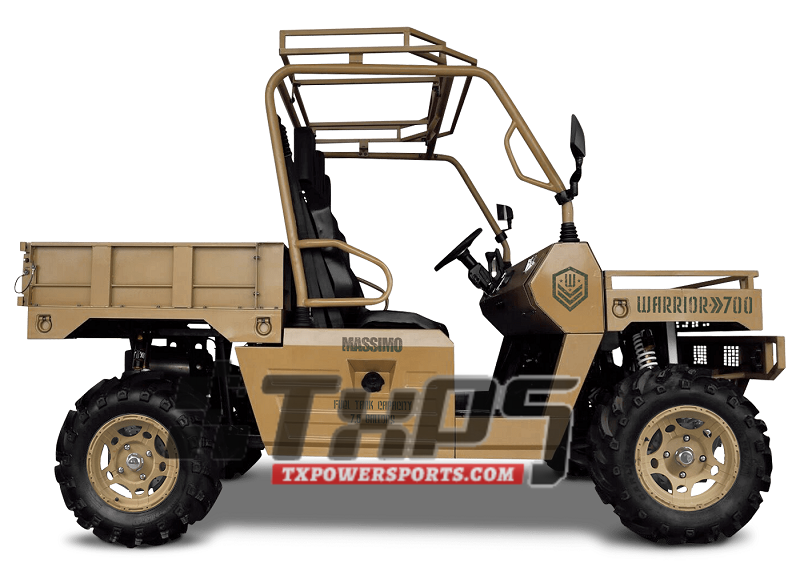 If you have questions or would like to know more about the MASSIMO WARRIOR 700, 686cc 34HP, Electric, Liquid-Cooled, Single Cylinder, give us a call at 1-877-214-4563 and we’ll be happy to help. 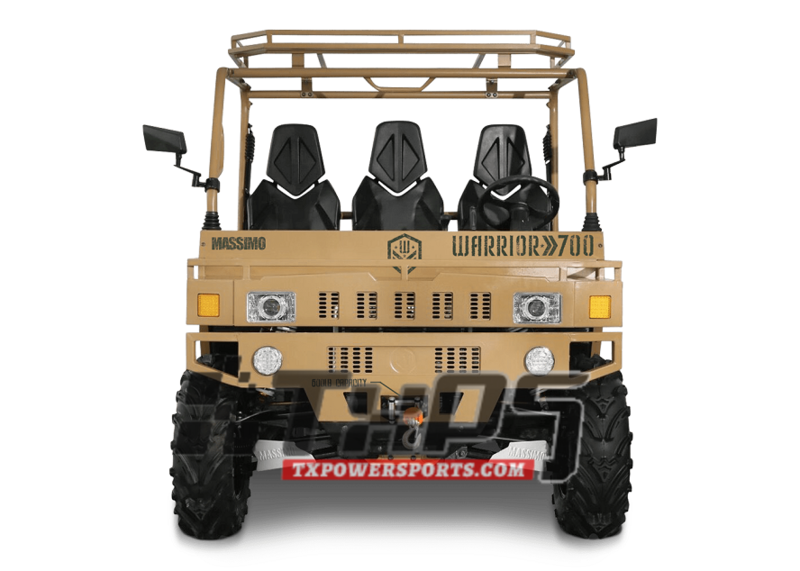 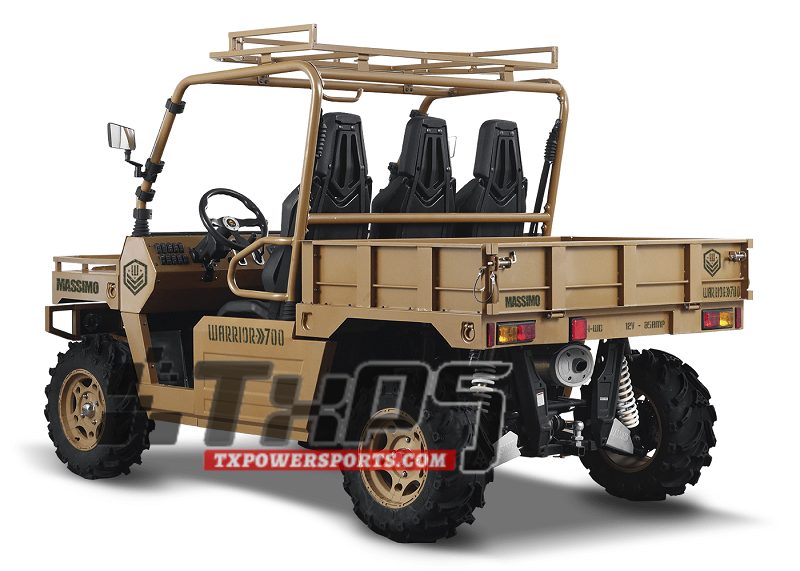 Wrapped in a FULL-METAL JACKET body, the WARRIOR 700 is like no other! 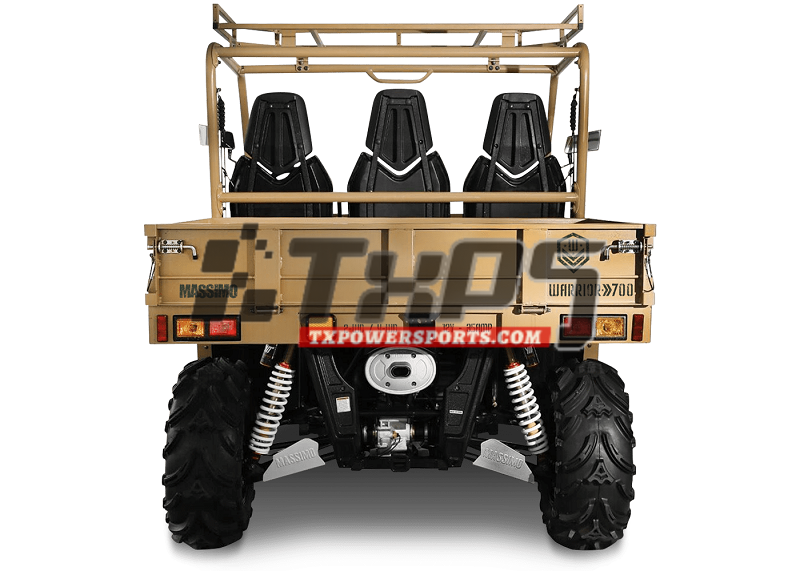 It has spacious seating for 3 full sized adults in their own sport designed seat.